Do you Need a BIG Budget to have a BIG Wedding? It’s been a while since we had any sort of discussion on the Blog, so this afternoon I thought it was about time to open up the blog to you and get your views on a subject that has been playing on my mind for some time now. Weddings and budgets! If we are to believe every wedding magazine out there the average wedding costs anything between £15K and £20K and that’s giving some rather questionable estimates for things like photography £750??? (I think not!) However my question for you today is do you need a big budget to have a big wedding? I’m not here to say that either is right or wrong, what I want is your experience and your views! Personally, when we got married, I think we could have done a lot of things differently! Don’t get me wrong we did a lot of things right, but we never sat down and had that conversation of what was important and what wasn’t. We chose our venue first and with that automatically came the catering and the drink, they all fitted in nicely together and that is where the majority of the money went. 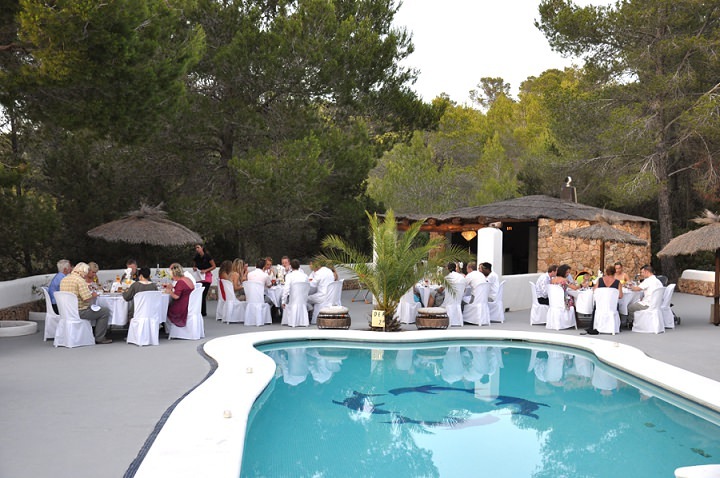 We also decided that as we were asking our guests to come all the way to Ibiza the least we could do was make sure that they were fed and watered all day and night, so a free bar it was. For that reason even though we only had 35 guests the bill still came to over £4,500, add on another £7,500 for the hire of the Villa, the ceremony, reception and accommodation and you can see that the cost all added up! All in all it cost us £18,000 but we certainly didn’t fritter the rest of money way. We were very careful where we spent the rest of it. I really wanted a Jenny Packham gown but decided that the price tag was just too high for one day, so set myself a budget of a dress under £1,000 and I managed to get one for £850 in the end. Would I have liked a Jenny Packham dress? Sure I would. Would I have one if we were to get married again? Maybe….but only if our budget went up and we could really afford it! In retrospect there are so many amazing independent labels out there all doing amazing things that I think with the experience I have I would seek out a much cheaper option and do it that way! My one big regret is that we didn’t spend more on a photographer, something I have mentioned times before. I would have moved the budget around to find the money if I knew at the time it was going to be something so important to us later on! So Budgets! As a planner I have worked on many big budget weddings, as well as very low budgets. And both have been amazing! Some big budget weddings I feel have gone through the motions of ticking things off a generic list, and even though the results have been stunning, I have to admit I have found myself asking was it really worth it? Spending £30, £40, £50K on what is really just one day does seem excessive, however if you have the money to spend what’s the problem? Equally on the other hand, I have worked on weddings that have cost £2K – £5K and the couple, as well as the guests, had an equally good time! Sometimes in fact it is the weddings with the smaller budgets that have more personality, where you can really see the couple’s character shine through. In these situations it is also the family and guests that have pulled together to make the day happen that makes it so good, that feeling of community can be felt throughout the wedding day! On the Blog I have many different sorts of weddings, but there is a big emphasis on DIY weddings. This doesn’t automatically mean low budgets though. I do ask each couple who I feature how they allocated their budget and many tell me exactly what it cost while others tell me where they spent the most. 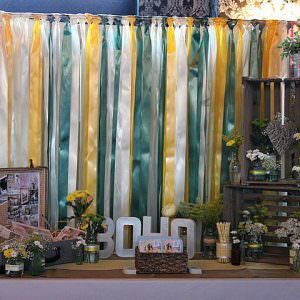 The majority of the time, the venue, food/drink and photographer comes out as the biggest cost, while corners have been cut and savings made on things like the decoration, stationery, flowers and outfits. This goes to show that there are some things that you need to have money spent on them and others that aren’t as important. I also believe that as long as the atmosphere is good and that there is enough for the guests to do then any budget wedding is good. You can spend £100K but if your guests are bored then what was the point! Equally you can spend £10K and have a brilliant atmosphere, with lots of fun things going on and everyone’s a winner! As a planner I always tell my couples to set a budget and stick to it, not to go into debt and make sure they budget accordingly. Some listen, some don’t! Some get carried away with the whole day, while others are very strict and stick to the spreadsheet. At the end of the day it is a personal choice, and also a matter of how much money you have to start with. Some people are happy to blow all their savings on one fabulous day and want to make sure their guests are looked after, while others would rather spend less and make sure they have a good start into their married life with savings behind them. I’d love to hear your thoughts? Are you planning a big budget blow out, or are you being more careful with your money? Are you going all out on food and drink? Or are you more of a DIY couple who want to keep things personal and on track money wise! As a wedding photographer, I’ve experienced all types of weddings, with the wedding photography business actually coming from my husband and I meeting due to the love of photography.. However, I’d probably say, the best weddings are the ones with sentimental value, with the guests being special. They truly make the wedding. The bigger weddings come with more headache, more people judging, more people to please..
Our own wedding was in a marquee in my parents garden, the home I grew up in. That meant more to me than any pricey venue. The only thing people still talk about to this day, is the food. We had traditional Lebanese food and my dad being a farmer, he gave the restaurant meat that he had chosen for them to cook. So I think as long as the guests are good fun and people who truly love you, thats the most important thing, then feed them good, unique, food. A good photographer is important too, as you will want to treasure those memories and have those images pass through the generations. As a photographer, I can tell you that it truly shows in the images whether people are genuinely happy or just trying to look happy. Through the lens we see the truth. So I’d say, forget the people who make you miserable, or trying to please everyone. It’s your day, do what you want to do.. What truly makes YOU happy! The material things aren’t what make the wedding. I have just this morning received some market research for my locale in Lancashire. Under the question ‘how much do you expect to spend on your wedding’ the largest response was £3000-£5000. hmm I feel there some optimistic people out there! However, in my experience couples who throw themselves in to the planning and creative solutions to maintain a budget have much more fun than those who throw money at it! We are getting married at 11am in the venue with a marquee on the lawn at the same place. We are having 80 people for the day and night time with a band in the evening, finishing at midnight. As our ceremony, drinks reception, lunch and evening do are all in the same place, we are wondering if anyone can suggest any daytime time-fillers as we don’t want there to be a lull or people to get bored in the middle of the afternoon once food and speeches are over. Any suggestions for some inexpensive time fillers for those on a budget? I have to agree with Sonia, the best weddings are the ones with sentimental value; no matter how big or small it should totally be about the two of you. 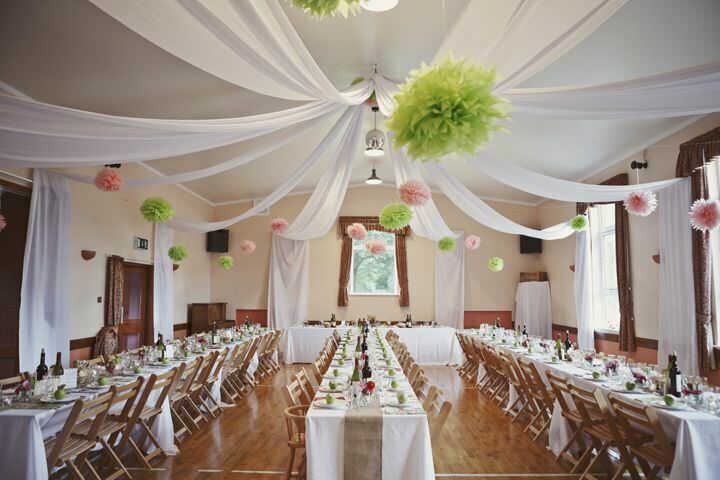 With clever planning (and help from friends and family) you can definitely create a big wedding with a small budget. Hi CC, depends on time of year (and the weather)….but croquet on the lawn and giant garden games always go down well; you could even organise a mini cricket match for the gentleman! Well, as you know Kelly we are attempting to do a fairly big wedding on £5000. Interestingly we would say that is a lot to spend on one day so have been kind of surprised to see how much does routinely get spent on weddings. That said, our budget is that ‘low’ simply because we have no choice (!) so have decided that we will just find ways to do what we want within our means. In the process so far I have found that there are definitely ways to either put effort into finding the most cost effective option for something or DiY-ing it that massively reduce the costs compared to if we just chose the first option we found. 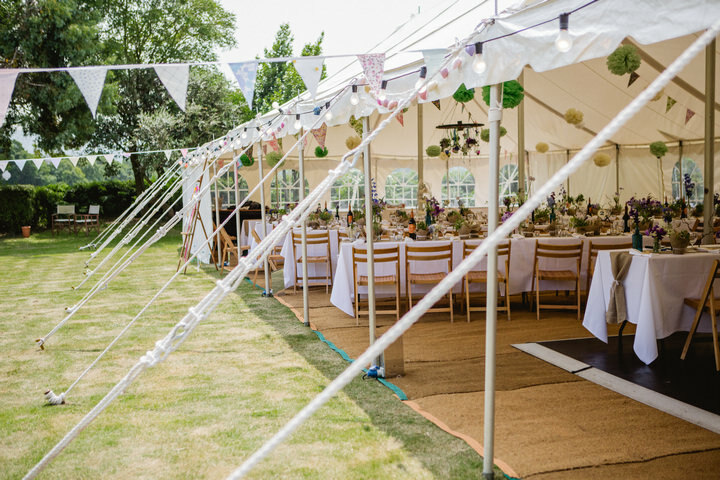 Finding a venue where the guests using the accomodation on site essentially covers the hire cost of the venue and then getting married outside on the grounds has been the biggest saving but it took a LOT of research to find it. I hope our guests will just feel that it’s really personal to us and memorable for being fantastic fun! I guess you will find out in 4 months if we manage to achieve it :) all I know is, in all the weddings I worked for, only 2 stick in my mind and they were both smaller budget with lots of individual personal style. It’s all down to personal taste and what kind of day people want I guess. I think if/when the silly marriage laws change and you can marry anywhere, in the future weddings will be less venue orientated and cost so much less. I would like to see couples doing more of their own thing and then going and signing the legalities another day. 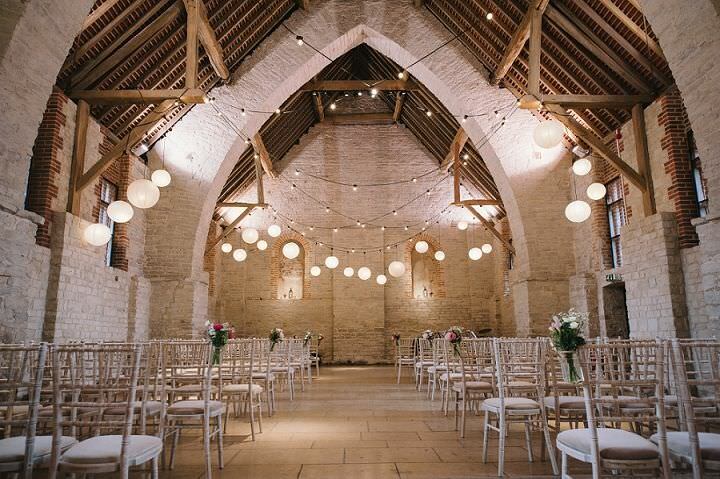 This would lower costs and begin a really creative era for weddings, which at the moment are stuck in strict boring churches and expensive to keep manor houses, they are out to take 80% of the budget. Get creative with catering and locations and then set aside the money for the most important things Entertainment and of course photography and film…capturing the memories. We are having a DIY outdoor tipi wedding on a Cornish farm / campsite. Our budget was originally under £4000 (somewhat unrealistic with our ideas!).. But we have spent a total of just over £5000 (this is a very large amount of money to us because we were also saving to buy our first home together – a dream thatched cottage by the sea which we hope to move in to just before the wedding). We want to invest in a marriage and a future, not just blow all our money on one day. 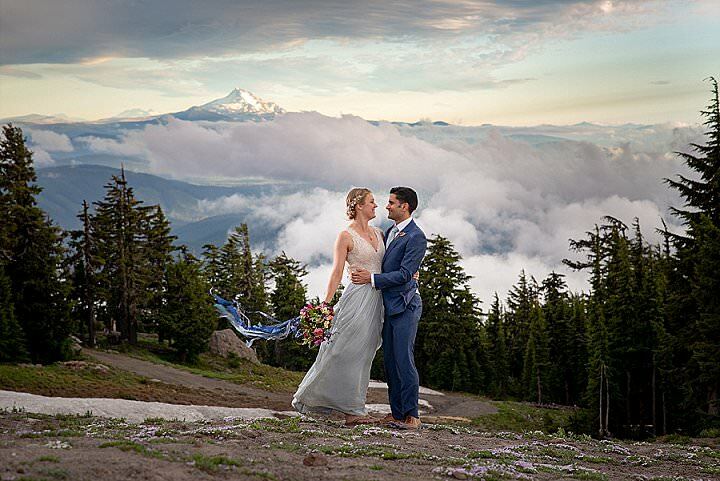 We originally wanted it to be a legal ceremony, but could not find anywhere beautiful and affordable, that was licensed, and let us do what we wanted. We are having an outdoor humanist ceremony instead, at a beautiful tiny campsite that has never held a wedding before. The legal ceremony will be two days before and no-one other than our 2 witnesses know about it. 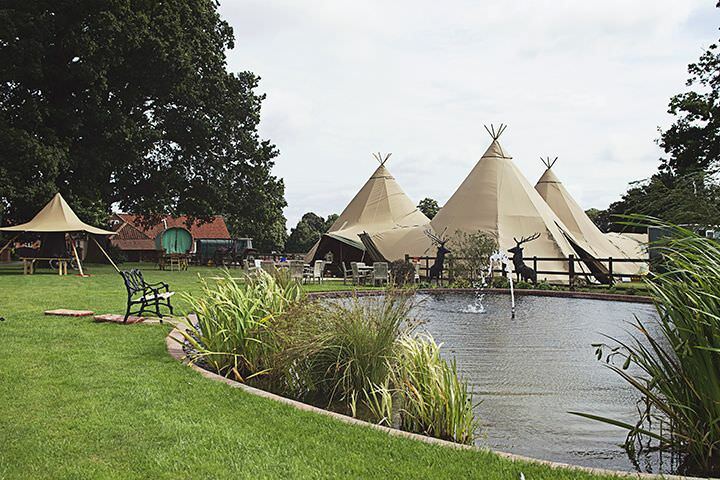 Our biggest expenses have been the food / caterers (we are both big foodies), and the tipis. Everything else has been lovingly scavenged, handmade, foraged, up-cycled and collected by us and our family. Wine was bought from Supermarkets on promotion, and relatives helped get us discounted sparkling wine from France. We are buying wholesale wild flowers (& doing some foraging) & arranging them ourselves. 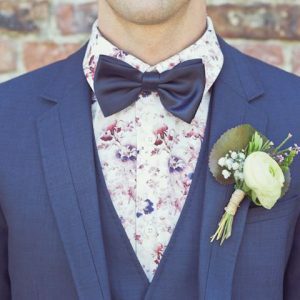 Doing a completely DIY wedding at a ‘non wedding’ venue is not for the faint-hearted. It takes a lot of preparation & organisation. BUT it has given us the chance to fill it with our personality & unique quirky style, & we are (hopefully) going to pull off the festival inspired wedding weekend of our dreams, in a field overlooking the ocean, with campfires, food, drink & dancing… If it rains I will be dancing in my muddy green wellies! Dear Kelly! I work for the One Show and we are currently looking at producing a short film about budget weddings – I read your story and I was hoping we could have a chat, please. Please, get in touch on [email protected]. We’re looking at filming tomorrow or the day after, so apologies for the short notice. Thank you so much!